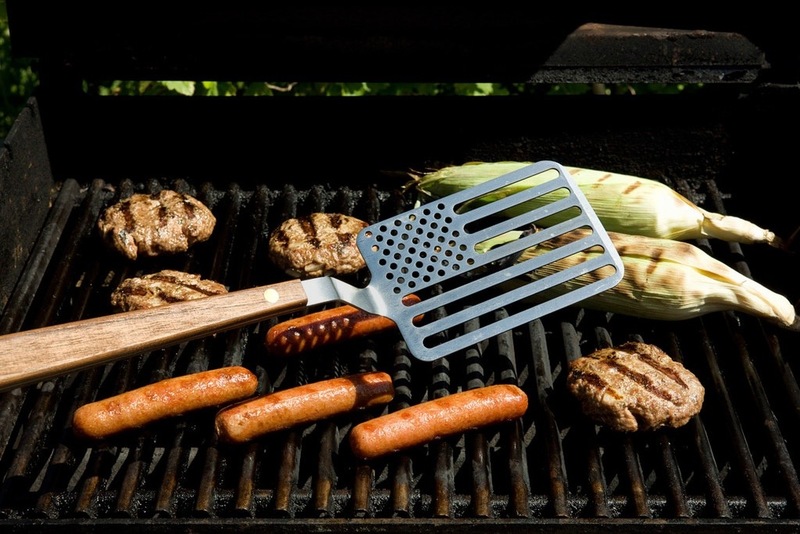 Everyone needs a “Star Spangled Spatula” on the Fourth of July. What better way to say “Happy Birthday America” than charing Old Glory into a meaty beef patty.This also goes on my want list. I love the stainless steel and wood version. It just makes me feel all manly, and American. Man make fire, man grill meat, man salute flag. Areaware is selling these American beauties in both stainless steel, and nylon. Designed by Jacob Riley-Wasserman who grew up in rural Greenwich, New Jersey, these spatulas reflect his large imagination which has been refined by advanced education from Rhode Island School of Design, and NYU. “Hand fabricated by one of the oldest and most-respected cutlery manufacturer in the United States using energy harvested from Massachusetts’ Deerfield River, this spatula pays homage to the USA’s stars and stripes, as well as our country’s love affair with outdoor grilling. Crafted of solid walnut and stainless steel, the Star Spangled Spatula’s use of quality materials, along with its patriotic vernacular, make it a pop design classic. It is perfect for any backyard barbecue and will last a lifetime”. Posted in Design and Art, Food and tagged Areaware, Jacob Riley-Wasserman, Kitchen Ware, Star Spangled Spatula on July 4, 2013 by Author.